The Johnson T-shirts are made of bamboo and therefore very comfortable. 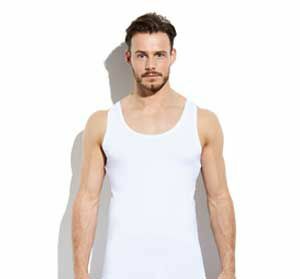 The breathability and the perfect fit make the undershirts feel like a second skin. 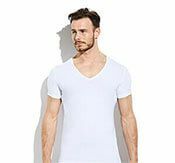 These undershirts have a normal V-neck and are therefore ideal to wear with a button of your shirt undone. Incredibly soft, fits well, nice and long, lovely and warm! After a long search I finally found a well fitting T-shirt. Fits well because it is elastic and is not hot underneath a shirt and yet retains the heat. It's great that the T-shirts are longer than normal T-shirts, because I can wear them underneath my shirt and tuck them into my trousers and they stay put even when I'm moving. 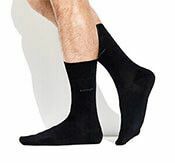 The first few times I wore them they were perfect: comfortable, warm. But after a few washes (according to the recommendations), lint has formed on the T-shirts. As if I have had them for years. Not satisfied! I ordered 2 white V-neck T-shirts for my husband. Delivery was great, nice that it fits through the letterbox. But my husband sweats a lot, so I was curious. And to my disappointment, after 1 or 2 times wearing it and after washing (according to the washing instructions) you still see the sweat stains :( . Other than that, they look good and are very soft. the order went well and I received my parcel the next day. nice service and very nice T-shirts. Great T-shirts! Indeed no yellow spots and are also really comfortable. I am now going to order the khaki T-shirts as well and try the boxer shorts.